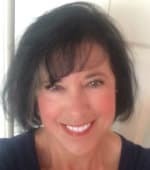 Katie has over 20 years of experience as an Employee Assistance Professional, and currently serves two hospital systems offering comprehensive employee assistance and management consultation and training services. She became aware of Anna’s program back in 2013 and has been strongly advocating to bring it to the Concord Hospital system ever since. Due to her passionate advocacy, the hospital now has two certified facilitators in Thera Rising’s methods. Katie and her colleague Liz LaBonte have trained several work groups and over 100 employees. Katie and Liz have also made Thera Rising material available through the University Organizational Development website for employees who are struggling with interpersonal relations both at work and at home, or who are just interested in learning the class’s skills and language. It has been transformative for many participants.